It is Monday again, and I go to my school. Our teachers asks us what we did at the weekend. I say that I was at work on Saturday. I say that I can already do my work quite well. I say that I am happy when I can speak to our customers. I say that it is true. On Saturday when I started with shadowing, it was quite difficult for me. But on Sunday evening, it was quite easy to repeat what I heard. 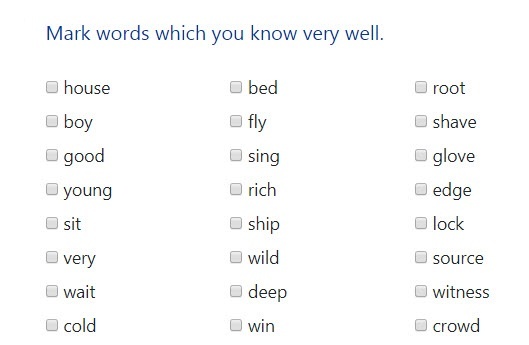 I am really interested in knowing how many words I know. I do the test immediately. I see that I know 2100 words in English. Most of the students know between 2000 and 2200 words. Only Monica and the boy from South Korea know 2500 words.